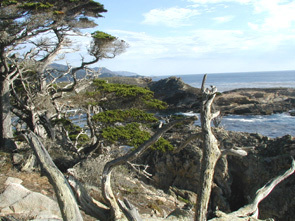 California is world renowned for its biological diversity and its unique plant and animal species. Approximately 40 of the state’s 770 native wildlife species and about 2,100 of its 6,300 plant species are found nowhere else. The state is one of the world’s 25 biological hot spots, places of greatest biodiversity and greatest threat. BIODIVERSITY is the variety of all life forms: the different plants, animals and other living things in a particular area or region, and the relationships that connect them into a community or ecosystem. 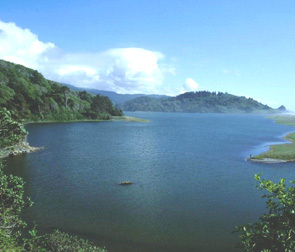 California’s State Park System encompasses nearly 1.59 million acres in approximately 280 parks, and provides reserves for protection of native plant communities and wildlife in a natural landscape. The State Park System is diverse, protecting large natural areas in all ten of the state’s ecological regions. 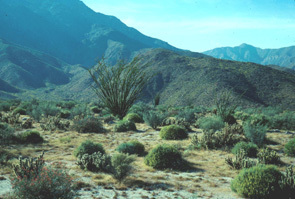 By design, the lands preserved in the system are some of the best remaining examples of natural California. As the number and size of unprotected natural areas decrease, remaining unprotected natural lands become ever more valuable and more important to protect. However, few parklands are pristine and unchanged. Some have been significantly altered prior to acquisition and are in poor ecological health. Recovery for many of these areas requires ecological restoration, returning the land to a healthier, more natural condition. Resource management projects have the purpose of achieving this goal and since 1990, $31,650,000 has funded 665 projects in 134 parks. More than 50% of this funding has gone towards 42 parks to preserve resources of the highest value. These projects involve hard work over a period of years, but even successful projects may not be readily visible to park visitors. Although restored to a greater degree of health, sustainable natural resources may only be achieved with continued management. Managing State Park resources requires an integrated program consisting of planning, restoration projects and evaluation, ongoing maintenance, and long-term monitoring. ECOLOGICAL REGIONS: California is divided into ten ecological regions or areas with similar physical and biological features. The goal of the State Parks resource management program is to protect, restore, and maintain the natural resources in the State Park System. Areas of outstanding natural resources and those areas under-represented in the system are identified, along with lands that could connect these islands of habitat. Protection begins with acquisition. California State Parks ownership has preserved not only habitats, but also habitat linkages and migration routes, allowing the movement of animals and plants between state parklands and neighboring protected lands. In this way, interconnected protected areas act as larger landscape reserves, safeguarding some of the most significant examples of California’s deserts, oak woodlands, grass-lands, coastline, wetlands, and redwood forests. 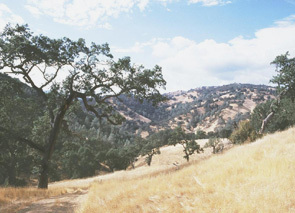 Today State Parks is pursuing preservation of under-protected regions of California such as the Central Valley and Sierra and southern California foothills. Restoration attempts to heal disturbed areas and ecological relationships, returning them to their original biological diversity and ecosystem function. To effect such a change and to maintain the restored condition, a long-term commitment to resource management is necessary. 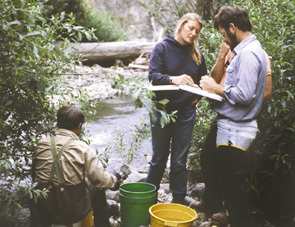 Natural community restoration and management in state parklands involves a variety of techniques. Fires are an integral part of the natural world, but human interference with natural fire cycles has allowed unnatural plant succession and fuel build-up, and has disrupted the reproduction of fire-adapted species. 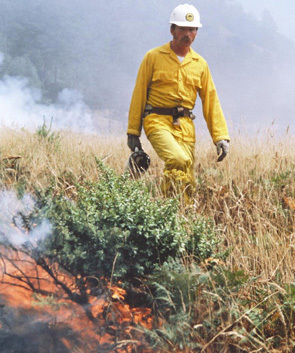 Prescribed burning by the State Parks Burn Team is used as a tool to restore the natural burning cycle, and to decrease fuel loads, improve habitat for native species that evolved with periodic fires, and control exotic plant species. Next to habitat loss, exotic species are the greatest threat to maintaining natural diversity. 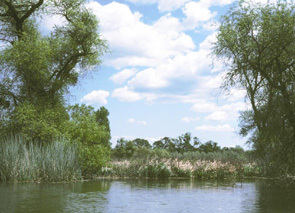 Non-native plants, animals, and pathogens harm the native ecosystem by competing with and displacing native species, accelerating erosion, impacting wetlands, and causing disease and mortality to plants and wildlife. 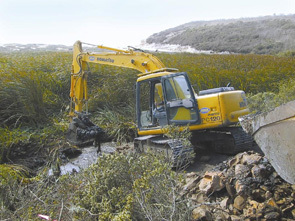 California State Parks’ resource management programs try to remove or control invasive exotic species and to re-establish indigenous native species. 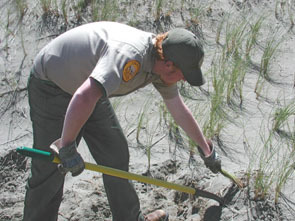 In these and other resource management projects, State Parks often relies upon the dedicated work of volunteers. 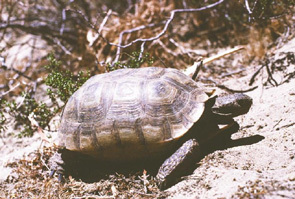 Many of California’s rare and endangered plants and animals are found in state parklands. For species approaching extinction, parks may provide the last remnants of their habitats which were largely lost as California’s natural landscape was altered. Park resource specialists monitor many of these species in the parks to identify adverse changes in their habitats and correct them through resource management work. Where appropriate, wildlife habitats have been enhanced. Earthquakes and landslides, along with less dramatic events such as erosion by water, wind, and waves, are important natural processes forming California. Human activities that modify and accelerate erosion can have a profound impact on parklands. 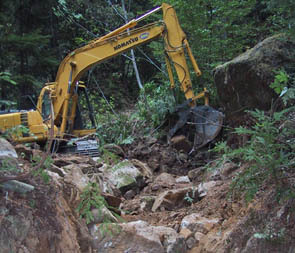 Working in harmony with natural processes, watersheds are restored by removing roads, fill, and dams, reconstructing natural stream channels, and managing unnatural erosion on parklands. Inventory, monitoring and assessment efforts use state-of-the-art scientific methods and instruments to identify disturbed areas, and to assess and document long-term trends in the condition of park natural resources, including plants, wildlife, and their habitats. California State Parks also supports scientific studies by universities and other researchers who use state parklands as sites for conducting studies designed to help us understand the ecological health of a park. Parklands maintained as natural areas can serve as points of reference to evaluate changes in surrounding areas. 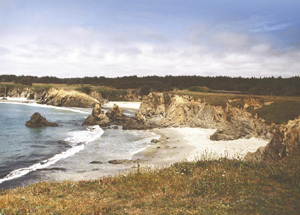 While many public land managing agencies allow consumptive or commercial use, California State Parks’ stewardship is unique in its protection and preservation of the natural resources native to the state. The goal is to create a balance between protection of our resources and public use of these special places. State Parks will continue to meet this challenge in creative and innovative ways. Human use has left its mark on the landscape and has created complex practical puzzles for park professionals to solve. Representing all fields and possessing specific knowledge, park resource specialists plan and implement the resource management work necessary to maintain our parks in an ecologically healthy condition. California State Parks resource managers are ensuring that these valuable resources are managed to the highest standards, preserving the best of California for today and into the future. "It would mean so much for everyone if the idea of restoration would catch fire with the public - the natural world is something to be recovered rather than just protected in pathetic remnants." Edward O. Wilson, Harvard University, speaking to California State Parks' exotic species control efforts.